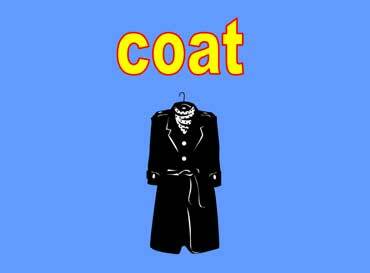 This is a long black coat. People wear coats when it is cold. This is a jacket. It has a hood. People wear jackets when it is cool or cold. 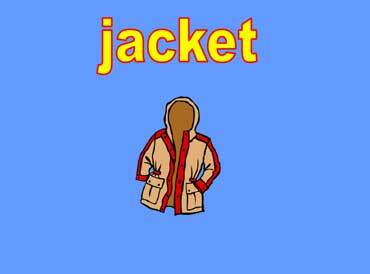 Jackets are shorter than coats. It is a pullover sweater with long sleeves. 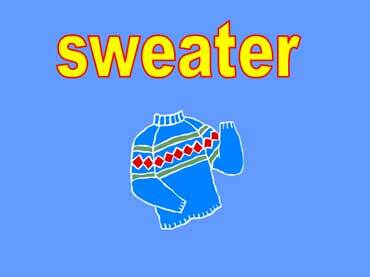 People wear sweaters when it is cool or cold. Copyrights to the pictures and photos on this ESL and EL Civics website belong to individual photographers. We have purchased the rights to use them. Do not copy the pictures and photos on this site. Permission is granted to copy any of the worksheets for classroom use. Permission is granted to link to any page of this website. Contact Christina Niven, Web Developer, at christina@elcivics.com. Please send corrections, comments, greetings, and requests for new photo tours, lessons, and civics units. Copyright © Christina Niven, 2007.